I've added my Inbound certification to upwork, now it is under verification by Upwork. It's been under verification for more than 5 days so I got in contact with Upwork's support team to find a solution. Turns out Hubspot hasn't sent an email to Upwork that says my certificate is genuine. I haven't been able to get in contact with Hubspot's customer suppport team. I got to chat with some robot who was clearly programmed to address only some specific Hubspot issues. Has anyone had a similar problem before? Comments on this thread will not be sumbitted to the Academy team. Hi @flourescentink1 thanks for posing on the community. 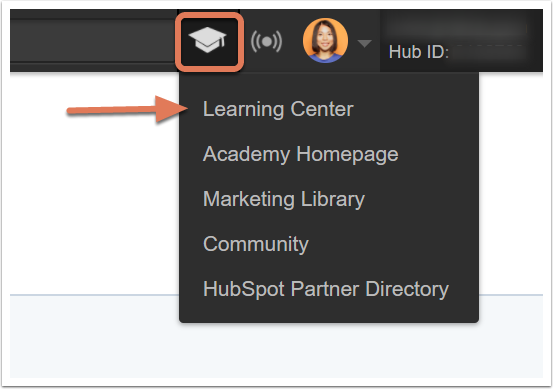 @chrisking do you have any insight into how HubSpot Academy and Upwork should be able to integrate? Click the graduation cap icon in the top right-hand corner of your account. Click the eye icon on the certification you'd like to add to Upwork. Scroll down and click Add to Upwork. This allows Upwork to validate the certification. Log into your Upwork account and add the certification to your Upwork profile. Before we move forward want to ensure you have completed these steps? if so, I need your email address you got your certification under! I've followed those steps already. There issue here is, I've added my Inboud Certificate to Upwork and the certification has not been verified yet because Hubspot hasn't sent a confirmation email to Upwork that confirms my certificate is genuine. Until Hubspot sends this confirmation email to Upwork, my certificate will not be verified by Upwork and it won't be displayed on my profile. So the problem is not about me adding my certificate to Upwork but Hubspot confirming my certificate is genuine to Upwork. I hope I'm clear enough this time. I'll really appreciate a solution to this issue. I am having the same issue. I wanted to add my HubSpot Design certification to Upwork, I followed those steps. Clicked on the "Add to Upwork" button and waited an week. Then contacted Upwork support and they are saying they didn't receive any Email from HubSpot related to my certification. I believe the problem here is that the "Add to Upwork button" is not working. When I click nothing happens, at least I don't see any feedback, pop up, confirmation, nothing. Please can you advice me on an effective solution? Being a loyal Hubspot user I know how customer service is a very important part of Hubspot's mission. I trust Hubspot and I want to maintain my frim believe in the fact that Hubspot wants to help me succeed and that's all I ask - please help me convey my value to the world. Once more,I need your help to solve this issue. Hi @flourescentink1 @Tarik thanks for your patience. I'm working with the Academy Team to get more information on this issue, and I will let you know as soon as I have an update. I have a same issue. I have added my Inbound certificate but Upwork notifyed me that Hubspot hasn't approve my certificate. For up to date informatio on this topic, I wanted to share this resource. The timeline and availability of certifications on upwork is up to upwork's discretion.